The Haji Ali Dargah Trust on Thursday volunteered before the Supreme Court to remove encroachments on the approach road leading to the shrine by May 8. It will also produce a proposal for beautification of the area. A bench headed by Chief Justice of India JS Khehar allowed the assurance given by the trust to remove encroachment in 908 sqm, but clarified that a mosque located in 171 sqm adjacent to the shrine will not be razed. The bench also issued notice to the Municipal Corporation and Collector on the trust's appeal against Bombay High Court's order on February 10 for removal of the encroachments in three months. "The trust has assured to remove on or before May 8. Removal will be to the satisfaction of the joint authorities (corporation and collector)...," the bench said and asked for compliance report while posting the matter for May 9. The Bombay High Court had ordered formation of a joint task force comprising the Municipal Corporation of Greater Mumbai and the Collector to remove illegal encroachments on the approach road leading to Haji Ali Dargah. 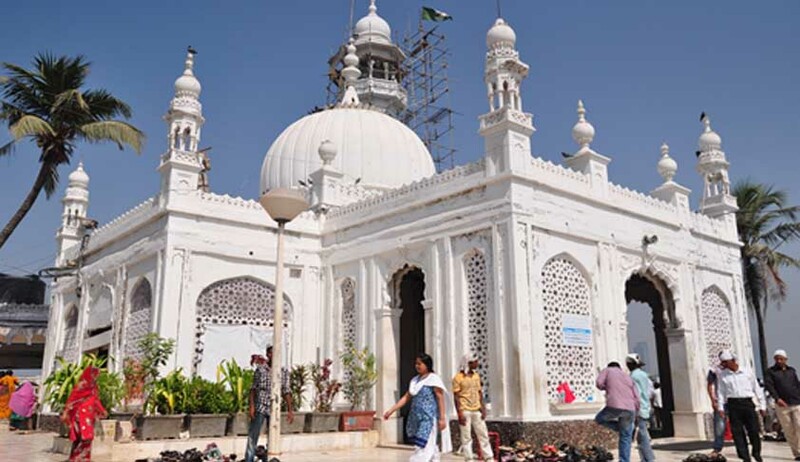 “The joint task force, with the help of jurisdictional police, shall remove the encroachment on the approach road to Haji Ali Dargah within three months, strictly in accordance with the procedure laid down,” a bench of Chief Justice Manjula Chellur and Justice Girish Kulkarni had said in a recent order.